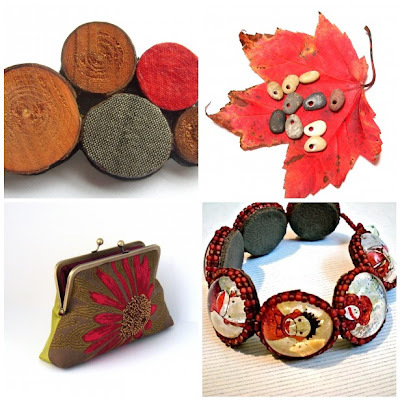 I'm loving the warm tones of these gorgeous Etsy finds. For more Etsy shopping lists or to play along head over to Charlotte's. Those colors are amazing and I especially love the clutch! Such yummy colours! I really love the purse too!